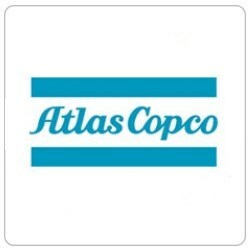 We have a vacancy for a Service Specialist within the Technical Support department of Atlas Copco Product Company Brendola. As a Service Specialist, your mission is to offer support to the customer centers to further enhance the reputation of our products. You will report to the Technical Support Manager. Continuously improve the product quality by a proactive failure reporting follow up. Inform the customer centers via Service bulletins and the Service Website about products improvements and actions to be taken. Interaction will include frequent contacts with the customer centers, other product companies, finance, purchasing, engineering, production and product managers. You have at least 1÷2 years experience in technical support a/o engineering environment. Technical knowledge on compressors, dryers and compressed air ancillaries is necessary. You have a good knowledge of English. An additional language is considered a plus. Software skills e.g. MS Office, BPCS would be an asset. You are customer oriented, by maintaining regular contacts with the customer centers and giving them accurate and unambiguous advice. You have good communication skills and you have commercial feeling. As a real problem solver, you can deal with unexpected situations and implement a solution and you actively search for what caused this situation. You have good analyzing skills, you can evaluate data and information and you structure and prioritize your tasks accordingly. You are capable to work in a multidiscipline team in order to provide the highest level of customer service. Short trips abroad are not a problem for you.